The Domaine Robert-Denogent is a small but tenaciously quality-driven producer of Chardonnay wines based in the Mâconnais village of Fuissé in the warm climate of Southern Burgundy. Situated approximately 70 miles south of the better known Côte d’Or, an area that produces the most celebrated and expensive Burgundy wines, the most famous wine of the Mâcon sub-region is Pouilly Fuissé AOC which is not to be confused with the Pouilly-Fumé produced in the Upper Loire wine region. 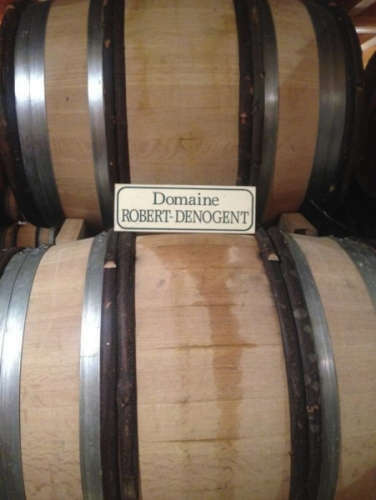 The Domaine Robert-Denogent's vineyards were established almost a hundred years ago, following the cessation of hostilities of the First World War, by Claude Denogent, the grandfather of the current owner Jean-Jaques Robert who assumed control in 1988. In 2007 Jean-Jaques' elder son Nicolas joined his father at the estate having studied oenology and subsequently gaining both viticultural and vinicultural experience both locally and further afield in other countries. 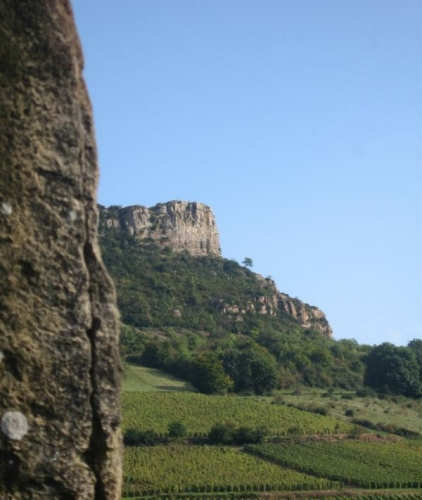 Domaine Robert-Denogent owns vineyards in three appellations of the area, namely Mâcon-Villages AOC, Saint-Véran AOC and Pouilly Fuissé AOC. 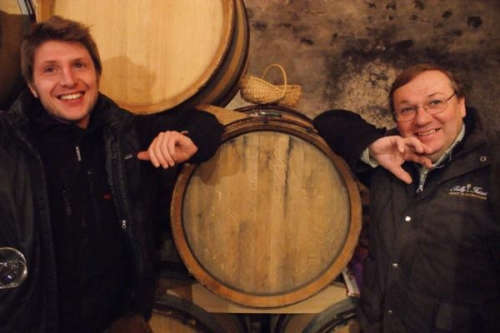 In addition to this Jean-Jacques and Nicolas have owned 1.2 hectares of plots of organic pioneer Jules Chauvet's accredited Beaujolais-Villages vineyards since 2012. Their other vineyard plots are located in areas with exceptional terroirs and cover a range of soil types incuding limestone, quartz, schist, clay and gravel. The majority of the vinestock is very old, one plot - Les Carrons - in the Pouilly Fuissé AOC is more than 90 years old, and others in the same appellation are about 80 years old or more. Les Pommards in St. Veran AOC is over fifty years old and their two Mâcon-Villages sites, Les Tâches in Mâcon-Fuissé and Clos des Bertillonnes in Mâcon-Solutré, are fifteen and thirty years old respectively. It is no exaggeration to say that these, for the most part, very low-yielding vines with their highly concentrated flavours coupled with the very best terroirs really do lay the foundation for making wine of exquisite quality. All of the sites are farmed in an entirely natural way with no chemical weed killers or fertilisers used at all. The microbial activity within the soils is optimised by regular aeration through regular ploughing and, depending on the precise site and weather conditions, natural ground cover is employed. All work is carried out manually including the harvest. The aim of using such methods is to preserve the vineyard and soil ecology allowing the natural qualities of the fruit to shine. Supplementing their own 5 hectares of Mâconnais vineyards the domaine also buys a small quantity of grapes from some contracted growers in the appellations of St. Veran and Mâcon-Villages which are subject to the same rigorous viticultural practices and vinicultural techniques as their own vines. Winemaking at Domaine Robert-Denogent is consistent regardless of the appellation. Once the grapes are harvested, which is always comparatively late to guarantee maximum ripeness and a full development of flavours, the whole bunches are sorted to ensure only the healthiest are used, there is no de-stemming as the whole bunches are pressed gently using the winery's pneumatic press. Fermentation takes place in 228 liter barriques (oak barrels) and is started by the action of the wild yeasts present on the skins. The lees created by the dead yeast cells is not subjected to "batonnage" or stirring of the lees. In the spring following the vintage the malo-lactic fermentation takes place in the same barrels where the wine remains for between eighteen and thirty months depending on that vintage. One third of the barrels is bought new each year for the top wines and the maximum number of vintages that any are used for is three. The wines are only racked once, three weeks before bottling. 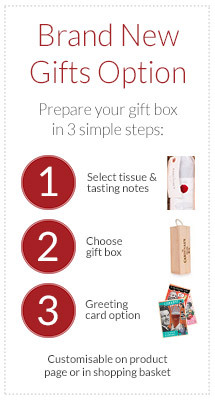 After a maximum period of eighteen months the wines are bottled and sealed with the best quality natural cork closures. Pouilly-Fuissé La Croix "Vieilles Vignes", a two hectare parcel of seventy nine year old vines growing on a soil of blue schist. Pouilly-Fuissé Les Reisses "Monopole", a parcel of 0.6 hectares of eighty two year old vines growing on clay soil. Pouilly-Fuissé Les Cras "Cuvée Claude Denogent" from a plot of 0.7 hectares growing eighty five year old vines on limestone. Pouilly-Fuissé Les Carrons "Vieilles Vignes", a 0.47 plot of ninety two year old vines grown on limestone scree. These wines from Robert-Denogent offer quite amazing value with a wonderful richness of white and yellow fruits, intense minerality, great complexity and very good length which is, to be honest, more typical of the best white wines of the Côte de Beaune than the Mâconnais. Comparisons have been made with the top wines of Puligny and Meursault. In recent years the very best producers of Pouilly Fuissé have been encouraged to bottle their best single vineyard wines separately rather than blending them into a uniform whole and to label them as such. There are moves afoot to designate the best sites as premier crus and it will be a complete shock if the holdings of Domaine Robert-Denogent are not represented. Mâcon-Fuissé Les Tâches - made from 0.27 hectares of fifteen year old vines grown on limestone. Mâcon-Solutré Clos des Bertillonnes - from a 0.42 hectare parcel of thirty year old vines grown on a mixture of quartz and limestone. Saint Véran Les Pommards "Vieilles Vignes" - fifty two year old vines grown on a plot of 0.52 hectares of clay and limestone. Although not as big and lushly concentrated as the domaine's Pouilly-Fuissé wines these are still richly fruity wines that are deliciously impressive and far removed from the everyday wines of the appellations. The sun shines through in their obvious quality. The lion's share of the range has found a ready export market in the United States with much smaller allocations for the UK and other European countries. For this reason The Cardinal's Cellar is only able to offer very limited quantities for sale.